Winter tires get very soft in summer heat and wear very quickly. Those mushy tires give poor handling as well as require more energy to push down the road (there of course are exceptions). As things warm up, changing back to summer or all season tires is a good choice. If its time to get new tires for the car you should definitely consider a set of low rolling resisance (LRR) tires. They’ve come along way in recent years and generally don’t cost anymore or perform any worse than a normal tire. For many ecomodders this is a normal task. However, with summer warming things up it is sure to affect tire pressure. You might find that your tire pressure is too high for your liking. Or perhaps you haven’t checked it all winter (like me!) and see that your tires need some additional air. A lot of ecomodders love beaded seat covers because they help to keep you cooler and stop you from sweating. This means you can comfortably drive in warmer weather with less cooling needs (be that A/C, fan usage, or windows rolled down). Another alternative is a fan powered seat cover. This will actually blow air over the area where your body touches the seat. If you live in a cold climate like me you can nearly get away with a full grill block through most of winter. However, that will not work well in summer at all (there are exceptions of course). Take some time to adjust your grill block and open it up a bit so that adequate cooling can be had. An easy way to see if your engine is running too warm is to install an indicator light that shows when your radiator fan is turning on. If it turns on all the time, you should open that grill block a little bit. Conversely, if you never see it turn on, you can feel safe blocking more of the grill off. If you run an agressive warm air intake to help keep engine temperature up you may need to tone it down for summer to keep that coolant fan off as well. While a block heater isn’t as useful in summer, it can still help out quite a bit especially if you have a short commute. However, it won’t need to run as long as it does in winter. So, take some time and adjust the amount of time it is on before you leave. 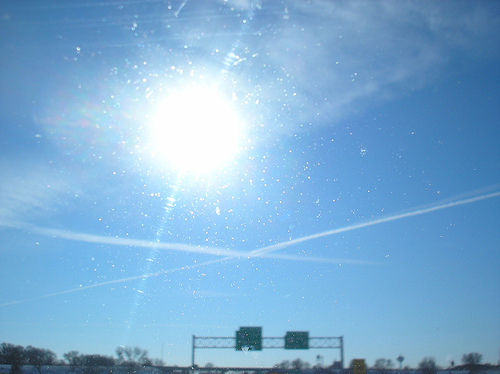 A sun shade blocks and/or reflects infrared heat away from the car. This is a great way to keep your car cooler while it sits in the sun all day long. Some of our users even make a sun shade for their sunroofs. Hybrids especially benefit from a cooler cabin as the batteries don’t like extreme heat. Try out that A/C before it gets scorching hot out. If anything is in need of repair now is the time before it gets too hot out. Now that its warmer out its a great time to do a few simple things like topping off fluids, and cleaning out the car. For trucks and other RWD vehicles you can remove any weights you use for winter traction. 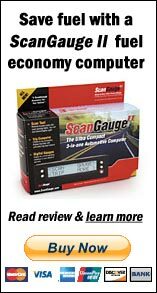 A couple forum members recommend checking to make sure those salty roads haven’t bound up your brakes. Every spring they jack the car up and just make sure the wheels rotate freely. That would be a great time to check tire wear while you’re at it, and how much pad is left on the brakes.